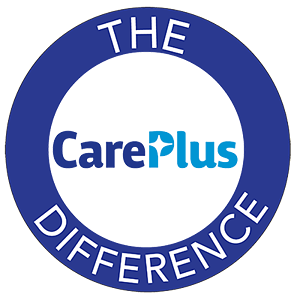 CarePlus is proud to announce a new relationship with Superior Vision to offer clients a wider range of insurance benefit options. We chose Superior Vision for our dental-vision relationship because it has one of the largest provider networks in Wisconsin and will help us provide even better insurance benefits to our clients by offering more comprehensive health care coverage. The offering will feature the full range of benefits from both companies. CarePlus will focus on offering a collective dental and vision solution alongside its standalone dental offering, and Superior Vision will continue to offer standalone vision benefits to Wisconsin-based companies. To go along with our competitive group dental offering, we will now offer competitive vision plans and rates to groups of ten or more enrolled employees. For virgin groups, we have book rates available to quote, and for groups that currently have a vision plan for larger groups, we can offer a custom quote (subject to underwriting). Superior Vision has one of the largest provider networks in Wisconsin. The Superior Vision plans provide an added convenience to allow an individual to receive an eye appointment at one provider and purchase materials at the same provider or a different provider. Initial plan rates are guaranteed for four (4) years from the issue date. Billing for the Superior Vision plan and CarePlus dental plan will initially be separate. We are moving toward a process in which we will be able to bill the membership for both benefits; our goal is to cut down on the number of separate bills our clients receive. We are confident that the CarePlus and Superior Vision relationship will help you to easily and effectively meet the dental and vision benefit plan needs of your group customers. To speak with a representative about our new offerings and how we can customize a plan for your group, please request a quote below and we will be in contact with you soon. Interested in learning more? Have questions? Request a quote below and a representative will call you to discuss the comprehensive, affordable dental coverage we can offer your clients!